Hey everybody! I’m going to be taking a short break from the blog next week while my sister, niece and I are in Disney World! Rather than schedule posts ahead of time, and then try to respond to comments from afar, I’m just going to go on a blog hiatus. Those of you who have been reading my blog for a while know that my sister and niece moved here to Minnesota from New Jersey just over two years ago. Prior to that I hadn’t lived in the same state as my sister since she was 20 and I was 18 (and had never lived close to my niece)! So for more than half of our lives, my sister and I lived far apart. During that time rather than just visit each other in our respective home states, we always met at various destinations instead. Sometimes Mr. Q, my niece Kris and/or our mom would join us as well (Mom lives in Las Vegas). We’ve been on so many fabulous trips together including a whirlwind trip across Europe from London to Rome. A second trip just to London. 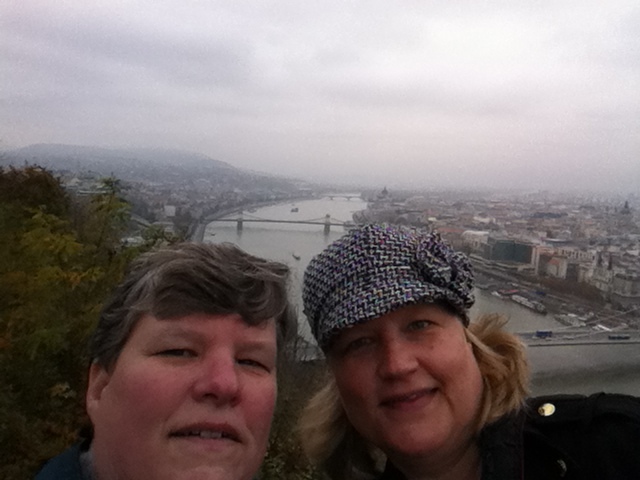 And a trip to Budapest with a cruise on the Danube River. 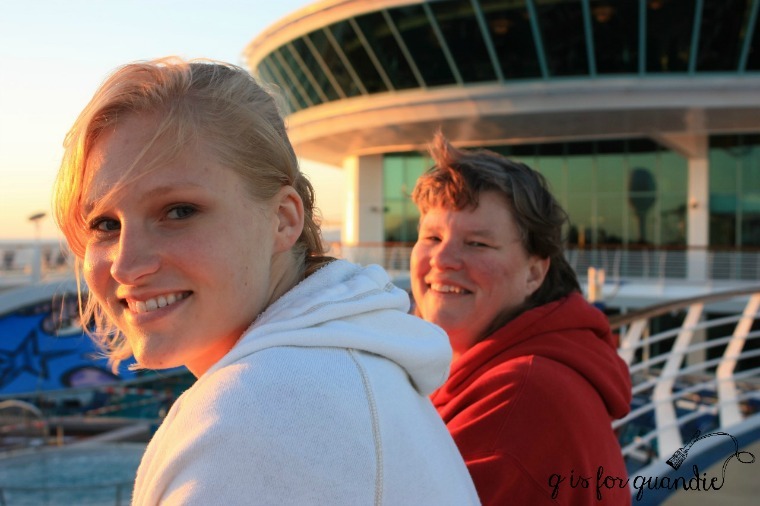 We’ve done plenty of trips closer to home too including a Mexico cruise for our mom’s 70th birthday. And we’ve done a few trips to either Disney World or Disneyland. 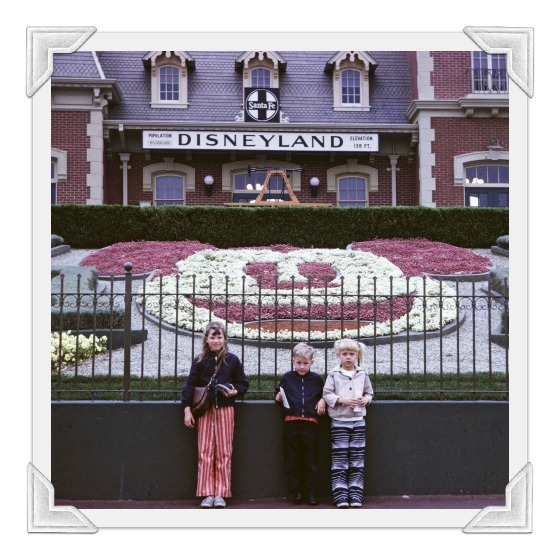 We’ve been going to the Disney parks since 1969! 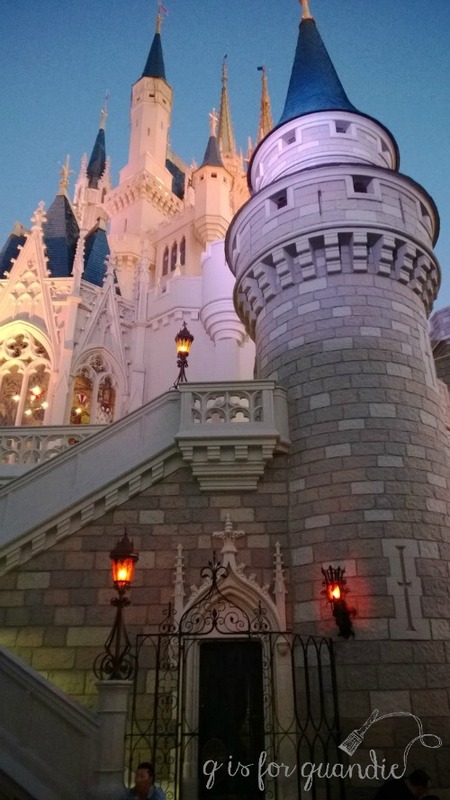 Our last trip to Disney World was just before I started blogging, October of 2013. I’m telling you, heat and humidity does my hair no favors! And I’m sure you can see why I really prefer to be behind the camera instead of in front of it. We’ve been itching to go back to a Disney park so when my niece was asked to be a bridesmaid in a wedding that was taking place in Florida we decided this was our golden opportunity. I thought now that we all lived in the same state we would be able to fly to our destination together. Ironically, no. We are all three on different flights. My niece leaves a day ahead of us and heads to Boca Raton for the wedding. My sister and I head to Orlando at the same time the next day, but she’s on the cheaper Sun Country fight while I’m using frequent flyer miles on Delta. Oh well. We are pros at flying solo by now. We’re used to meeting up at our destination’s airport! We did it before cell phones and texting, so we can easily handle it now. Have a great week you guys, and be sure to check back in another week. I’m planning a fun blog giveaway when I get back! Have fun, Linda!! Disney is always one of our. 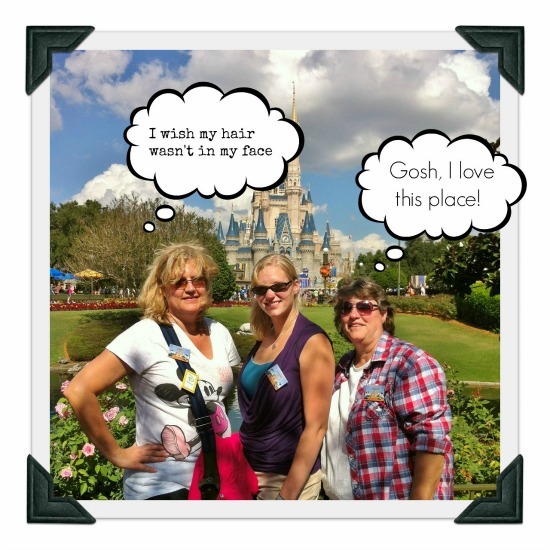 Egg family vacations… we are headed there again in April! Enjoy, be inspired and make wonderful memories! I bet April is a great time to go. Probably fantastic weather and not terrible crowds. Have a wonderful trip…I LOVE Disney! Enjoy your much deserved blog break! Thanks for all you do!! You’re welcome Wendy, and thank you for taking the time to leave a comment. They always mean a lot to me! I don’t usually do a whole lot of shopping at Disney, but I’ll definitely be keeping my eyes peeled for interesting stuff to blog about. You never know what I might find! Lucky you, Mickey, Minnie and your family. Sounds like a wonderful time, enjoy! Have a fantastic time! I will miss the blog but everyone needs a break sometimes😘 well deserved! Have fun…cant wait to hear all about it. And Lord knows you deserve a blog break…you’ve been at it pretty hard and you need to unclutter your brain for at least a week! Love that … yep, I definitely need to unclutter! Ah, Disney World without the heat and humidity! We are never too old to let the “kid inside us” love Disney! Have a wonderful time! We both, Linda and I are definitely kids in Disney. My daughter, the niece, told us we had to have the kid out of us by the time she arrives on Monday. Ha, won’t happen! So looking forward to all the rides and sweets. Have fun and enjoy the break.Safe travels! Wo, you have snow!!! It is raining here in Indiana, and the temp. Is 40, so we are close to snow! A good one! 😄 Be safe and be aware of your surroundings! Have fun! Tell Mickey and Minnie we all say Hi. Have enough fun for me since I am not able to go on such fabulous trip. I wish I could have taken you with me Ivory! Hey, have some great FUN you girls! I have been flying to Orlando, but no layover long enough to visit Disneyland again. I love those flights! Everyone (especially the kids) are so happy and excited, both departing and arriving…mouse ears and Disney trinkets galore! I will miss your blog, but maybe I will see you in flight! I didn’t see you on either plane Patty! But I know exactly what you mean about the mouse ears and trinkets, so fun! Somehow on my way home I ended up seated next to a man reading a book about Financial Statements instead tho. That was an ironic reminder that I was heading back home to reality after a week of magical days. Have a great time, what fun! I love Disney World too! There’s just something about that place isn’t there Barb! Have a great time,both you and Debbie and the niece.enjoy the sun,we have had cool weather but no snow …keeping my fingers crossed. Looking forward to your return.Betty from Ontario, Canada. I enjoyed every minute of the glorious sunshine in Florida, and have returned home to a typical cloudy November day :-(, still it feels great to be back home again. Miss you, come home safe and soon!